Though many laud the health benefits omega-3 fatty acids, one study is showing that eating the fatty acids found in fish oils may increase the risk of prostate cancer for men. The study showed that men who consume a lot of EPA, DPA and DHA -- three anti-inflammatory, metabolically-related fatty acids that come from fatty fish and fish-oil supplements -- have a 43 percent increased chance of developing prostate cancer. Men with diets high in fatty acids were also shown to have a 71 percent increased risk of developing high-grade prostate cancer, and a 44 percent higher chance of having low-grade prostate cancer. "We've shown once again that use of nutritional supplements may be harmful," author Dr. Alan Kristal, member of the Fred Hutch Public Health Sciences Division in Seattle, Wash., said in a press release. Prostate cancer will affect an estimated 238,590 new patients in 2013, according to the National Cancer Institute. About 29,720 prostate cancer patients will die from the disease this year. The study involved 834 men who had been diagnosed with prostate cancer, with 156 having high-grade type. They were compared to 1,393 randomly selected cancer-free men. The group that ate the highest amount of omega-3 fatty acids had about 2.5 percent more of the compounds in their blood compared to the group that ate the lowest amount. The difference corresponded to a little larger than eating two extra servings of salmon weekly, Kristal noted. The new research echoes an earlier 2011 study completed by the same team that showed high blood concentrations of DHA were linked to a more than double risk for developing high-grade prostate cancer, as well as a large European study that came to the same conclusion. "What's important is that we have been able to replicate our findings from 2011 and we have confirmed that marine omega-3 fatty acids play a role in prostate cancer occurrence," corresponding author Theodore Brasky, a research assistant professor at the Ohio State University Comprehensive Cancer Center in Columbus, Ohio, said in a press release. "It's important to note, however, that these results do not address the question of whether omega-3's play a detrimental role in prostate cancer prognosis." The authors said they were surprised that omega-3 fatty acids increased the risk of prostate cancer, because the compound has been shown to lower inflammation. Inflammation problems have been linked to the growth and development of many other cancers. They still do not know why the fish oils may be so bad for this particular disease, but they suspect that the omega-3 fatty acids may turn into a compound in the body that can damage cells and DNA. This in turn may affect the body's natural defenses against disease. 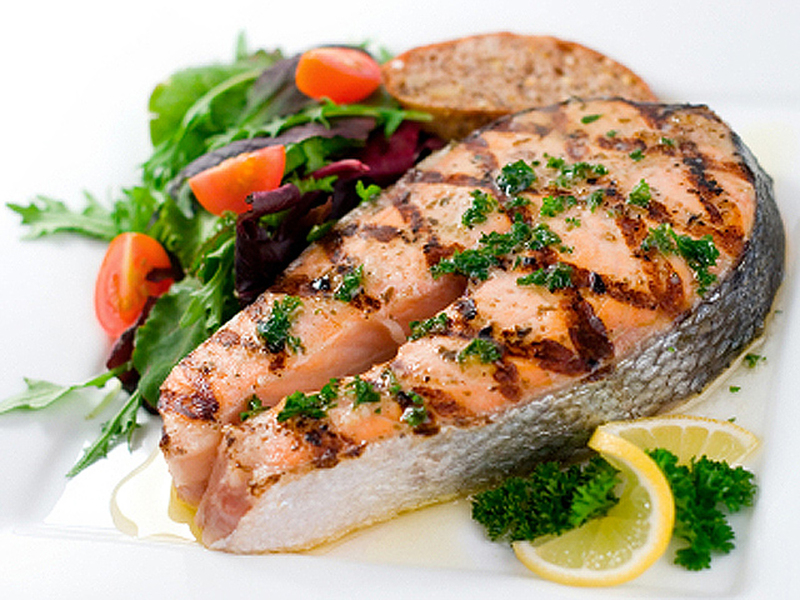 Omega-3 fatty acids have previously been linked to protective benefits against heart disease and Alzheimer's. Dr. Anthony D'Amico, chief of radiation oncology at Brigham and Women's Hospital in Boston, noted to HealthDay that the findings did not mean that omega-3 fatty acids caused the cancers, but that they just were strongly linked to increased occurrence of the disease. He added that the researchers had to look at other factors that may have caused the prostate cancer in the male subjects before saying for sure that omega-3 fatty acids was the main reason for their disease. "All of these studies on associations, which is what this is, are hypothesis-generating because they are looking back in time," D'Amico, who was not involved in the study, explained. "It's not a cause and effect." Prostate cancer usually affects older men. PSA tests can be used to screen for prostate cancer, but the American Urological Association said in May that they do not recommend that men 55 and under do the procedure, and advise against it for men over 80 who have a life expectancy of less than 10 to 15 years. Men between 55 and 69 should talk to their doctors to see if the test is right for them. The U.S. Preventative Services Task Force submitted a similar recommendation that healthy men should not get a PSA test in 2012. The PSA blood test looks for prostate-specific antigen (PSA) levels. But, a prostate cancer diagnosis may cause more harm because the test may pick up slow growing tumors that do not pose any health dangers. Biopsies, surgeries and radiation may cause more side effects, including urinary incontinence, impotence and other complications that could lead to death. Dr. Iain Frame, director of research at Prostate Cancer U.K., said to the Telegraph that if men are concerned about their prostate cancer risk, they should talk to a medical professional. "Omega 3, such as is found in oily fish, has been the focus of a large amount of research in recent years, the majority of which points to it having wide ranging health benefits when eaten as part of a balanced diet," he said. "Therefore we would not encourage any man to change their diet as a result of this study, but to speak to their doctor if they have any concerns about prostate cancer." The study was published in the Journal of the National Cancer Institute on July 11.